If you already have an existing watch list and you need to add additional organizations, be sure to add the new organizations to your existing file and re-upload the file. If you upload a new file, the previous list will be overwritten to accommodate the new list. 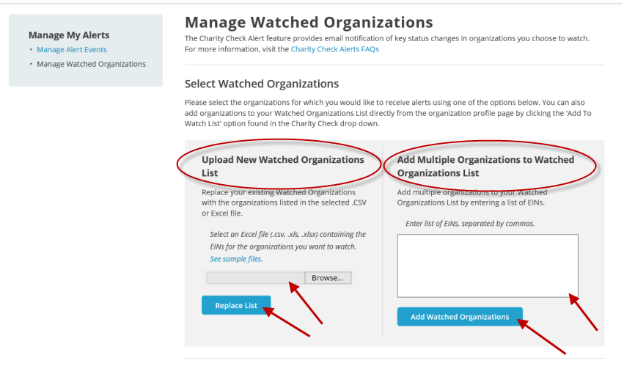 Select Manage Watched Organizations under Charity Check. Upload or replace a file (.csv, .xlx, and .xlsx are acceptable files) with the EIN numbers.